Elon Musk’s Starship prototype has roared to life for the first time, as SpaceX completed a successful test firing of the 60-foot-tall stainless steel rocket ship’s powerful Raptor engine, causing it to lift briefly off of the launch pad. 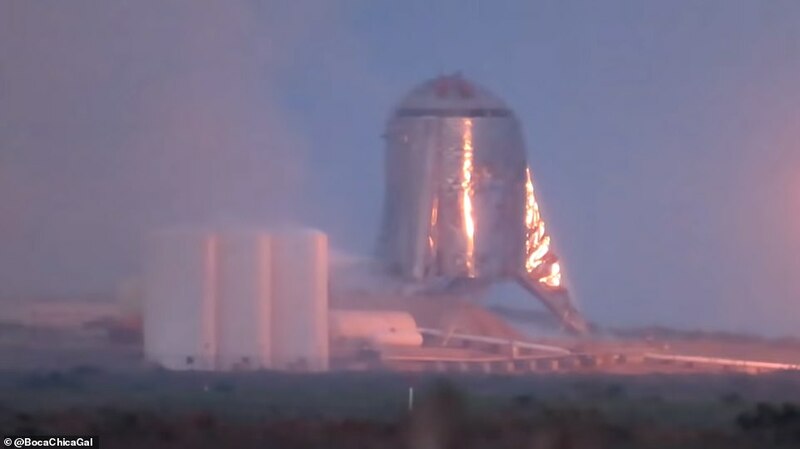 Clouds of smoke and a blaze of fire could be seen erupting from the prototype vehicle, called Starhopper, during the static fire at SpaceX’s South Texas test site late Wednesday evening. The momentary liftoff occurred at about 8:56p.m. (ET) yesterday and generated a deafening roar that was so loud it rattled the windows of nearby homes. While the action didn’t last very long, the test hop serves as an important baby step toward Musk’s wider plan to send humans on a mission to the moon. SpaceX will now continue to conduct further testing on the Starhopper prototype at its facility near Brownsville, Texas. The firm is expected to attach two additional Raptor engines onto the craft in the coming months, which will enable the prototype vehicle to do significantly higher hops.